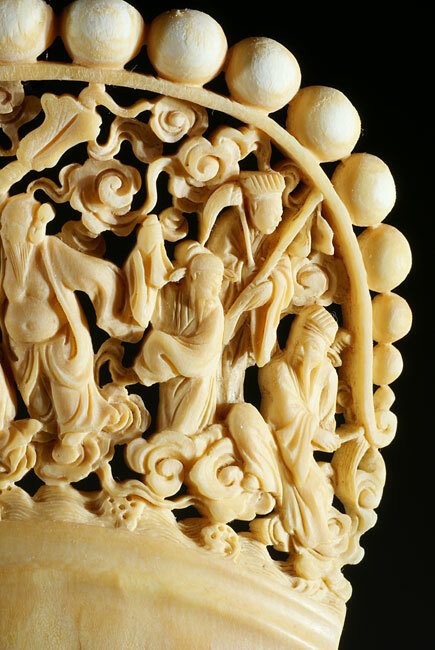 This impressive ivory comb features the eight Chinese Gods from the Dao Temple, home of Taoism. The artist portrayed the immortals crossing the sea. 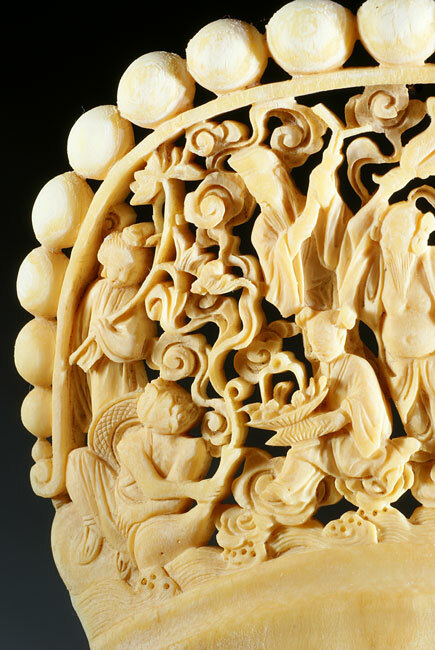 Respectively, they represent incarnations of the Chinese people: male, female, old, young, rich, noble, poor, and humble. Zhang Guolao’s drum can augur life. Lu Dongbin’s sword can subdue evil. Han Xingzi’s flute can cause growth. He Xiangu’s Water Lily can cultivate people through meditation. Tie Guaili’s gourd can help the needy and relieve the distressed. Zhong Liquan’s fan can bring the dead back to life. 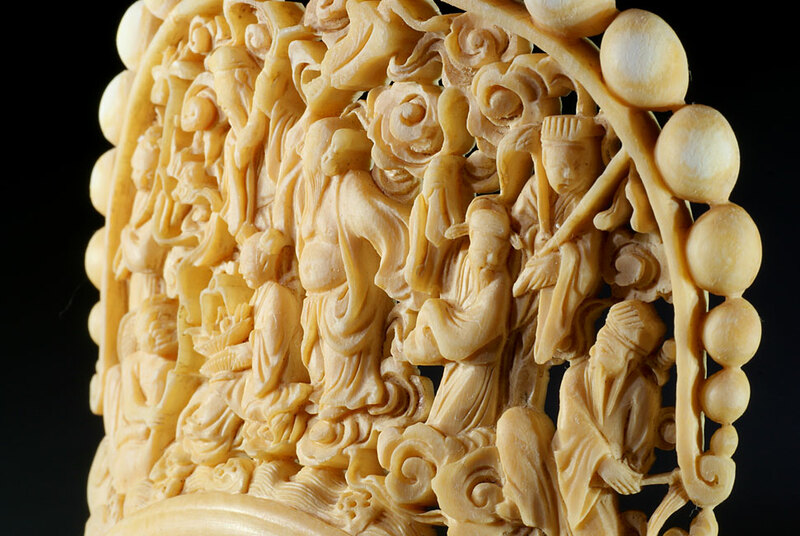 Cao Guojiu’s jade board can purify the environment. 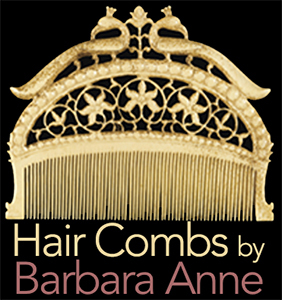 Lan Caihe’s basket of flowers can communicate with gods. 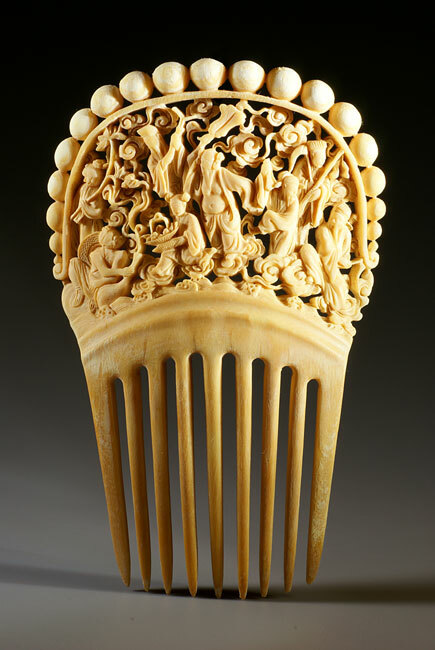 All of this wisdom was carved into a comb made for export to the Victorian market, c. 1890.